It includes everything the voters said they wanted. 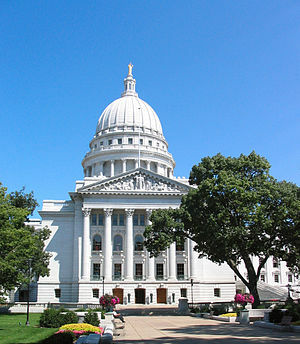 It includes a minimal property tax increase – smaller than what Collins imposed when he came to office. It takes care of new, expensive mandates from the state. It is in balance, and the control board has signed off on it. “It” is County Executive Poloncarz’s proposed 2013 budget. By contrast, the Republican minority, joined by Democrat Tom Loughran, are pushing an alternative budget with no tax increase, but one that the control board is unhappy with, and one which will be woefully out of balance. 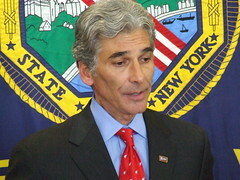 James Sampson, chairman of the Erie County Fiscal Stability Authority, also told legislators that the control board has concerns over how the proposed cuts would impact the budget – including how jail overtime would be managed to stay within budget and how the county would meet additional projections for savings for vacant positions. The board last month found Poloncarz’s budget projections reasonable, but has identified potential “risk” factors in both Poloncarz’s proposed budget and the changes proposed by the legislators. The stability authority operates currently in a “soft” advisory status, but its members could determine whether to remain advisory or increase its oversight to a “hard” control board if they find the budget is out of balance early next year. Here, Poloncarz makes his final pitch for doing the fiscally right and responsible thing. Well, he must not have been around when Chris Collins did so in 2008.
the people were not in a holiday mood. and people agreed that the times were quite tough. Six Sigma, he thought, would drag us out of our slumber. Amid raises for managers, programs were cut. The lawmakers’ charges, he’d always rebut. the people’d fish money from pockets less deep. taxpayers had little up there to admire. and changed his proposals – some letter by letter. and wondered, who died and made this guy the king? and the comptroller soon had to become more engaged. but not using language one might think was too salty. He told the lawmakers that they were wrong, too. Their outlook was based on too blissful a view. a result that really quite no one desired. The leg passed its budget, some vetoes were used. The leg overrode some, those cuts they refused. Then from the Rath Building arose some weird chatter. as to which branch of power could set the tax rate. To court they all went, led by Lynn Marinelli. against Collins and Green, (I saw her on the telly). who argued that Collins had usurped a leg function. ordered that Collins’ bills could be printed. we’ll pay more for less stuff, sort of anti-nirvana. we complained and cajoled, and put up some resistance. the problems keep coming, they should all feel shame. For now everything new can seem old again. (Originally published December 27, 2008). I started writing about local politics on my blog in the midst of the 2004 – 05 red/green budget crisis. I was still sort of new to town and to local politics, but I distinctly recall that prior to that meltdown, it was the city of Buffalo that was in a fiscal disaster so bad that there was talk of bankruptcy. There was quite a clamor about the county just absorbing the city, since Giambra was running things so swimmingly. Then all hell broke loose as Giambra’s one-shot budget fixes ran out. Then, it was tobacco settlement money. He gave people a stark choice – a red budget which would slash discretionary county services, or a green budget that maintained services but raised taxes. Giambra had just won re-election about a year earlier, running on his record of having cut property taxes. We were faced with a deficit in the tens of millions and the prospect of the highest sales tax in the state, if not the country, or no parks, no funding for culturals, no discretionary anything. When we got together to maintain the Santa’s Park at Chestnut Ridge, we learned that union rules prohibited private people or groups from assuming the duties formerly performed by county employees – even if they were volunteering. The whole system was rotten and backwards. Yet what really got people’s dander up wasn’t just the penny sales tax, or the dysfunction. People were really angry about Victor Getz. They were furious that Giambra had hired friends and family to fill county jobs, especially with the prospect of thousands of crisis-prompted layoffs. The anger over Getz was largely about symbolism, as well as cronyism. There were calls to change the way the county does business. We amended the charter a couple of years later. Those charter amendments passed overwhelmingly through referendum the year before Chris Collins was elected County Executive. Among the many changes, the county Comptroller’s office took on new responsibilities so that there would be better monitoring and auditing of county finances. In the end, both the county and city found themselves under the “adult supervision” of separate state control boards. The process is fundamentally broken, and has been for some time. Yet no one has the desire to change it. Every year we go through this same three-ring circus. Every year the culturals come protesting for funding, every year there is a battle royal over who gets how much. Every year we go through this same nonsense. Is it beyond reformation at this point? Yesterday, the culturals were de facto divided into three tiers: the libraries, the 10 Collins-approved culturals, and everyone else. The Republicans fashioned a deal whereby $100,000 in stimulus funding would go to the Oshei Foundation, where Robert Gioia will decide how to dole out that money, plus $400,000 the foundation is putting up. A “public/private partnership” along these lines is a great solution, and one that some Democratic legislators would have considered supporting had the Republicans bothered to present it to them as an option. The libraries will get $3 million in stimulus funding, as well. (Notice the renewed dependence on one-shot funding?) This freed up the Republican caucus to vote against overriding all 154 Collins budget vetoes. Each line item was defeated on a 9 – 6 party line vote which went well into last night. Most distressing is the fact that the Republican legislators voted to gut the comptroller’s office, and effectively neuter its ability to do its charter-mandated oversight. This is in direct contradiction to the will of the people as expressed in the 2006 charter revision referendum. Perhaps Poloncarz could get his office to conduct audits through interpretive dance and compete for some of the Oshei Foundation’s county cultural funding for 2011. The other problem with the cultural funding for 2011 is that it solves just enough of the problem to help Collins’ re-election bid next year. You’ll notice that the budget process heats up well after election day, so this three-ring, tri-tiered circus will play out again in December 2011, and the Oshei resolution is a one-shot deal. If the Republicans in general, and Collins in particular, are even remotely serious about reforming county government, they’d offer up long-term solutions that would prevent this sort of community battle every December. Yet the only solutions that ever get ink have to do with reductions in the size of the legislature or term limits. All well and good, but how about shutting down the annual circus? The courts will decide the question of whether Collins has the right to declare things the legislature does “null and void” as regularly as he does. The Republicans will be appealing Glownia’s order. The forgotten third tier of culturals get a reprieve for a year. The approved second tier of culturals was noticeably silent about the budget battle, even though the Democratic amendments would have maintained their current funding. Odd, that silence. The libraries will be funded even though no one has the resolve to discuss consolidation and other ways to fix that annual part of the circus. We get all up in arms as a community over Victor Getz’s $70,000 driving gig, yet we yawn when the annual budget de-funds pregnancy prevention programs, after-school programs, cultural attractions, entire swaths of elected officials’ critical staff, and the medical examiner’s office. As Chris points out, Collins wants to gut stuff his constituency doesn’t really care about. Maybe everyone involved can agree that this is a horrible way to go about doing all of this and talk about lasting changes. There is no county government. Only Zuul. Chris Collins has all but declared himself the sole sovereign and king of Erie County. Christopher du Lac Spaulding, as successor to King Joel the Fail, has unilaterally declared the Erie County Legislature to be a nullity. The Six Sigma-dependent big spender has naturally relied upon dubiously correct hypertechnicalities to justify his lack of regard or respect for co-equal branches of government. While Collins may be the chief budget officer, he is also the executive – the legislature is the board of directors and speaks for specific constituencies to whom they answer every two years. It doesn’t matter whether you agree or disagree with Collins or the Democratic legislative caucus – the issue has become whether you respect the rule of law and separation of powers. Collins du Lac clearly doesn’t. He claims that the Democratic budget amendments would raise people’s taxes up to $3.00 per year, but shows absolutely no math to back up that assertion. The legislative Democrats have provided proof – in writing – that their proposal does nothing to raise taxes, and has issued documentation of how it achieves balance. Not Collins, though. Le comté, c’est lui. Tomorrow, the legislature will take up Collins’ remarkable veto statement and attempt to override it. Many of the specific cultural line items were supported by 10/15 legislators, and the library funding was supported unanimously. According to majority leader Maria Whyte, Kevin Hardwick said he would override Collins’ vetoes on certain cultural line items if he had proof that no tax increase would result. During today’s press conference, Betty Jean Grant said Collins’ claims that the Democratic budget amendments raised taxes were “fearmongering.” Lynn Marinelli said that Democrats were proud to show their math – Collins is for some reason afraid or unwilling to do the same. Addressing Collins’ media blitz and direct voter contact, Tom Mazur said Collins should be ashamed of himself stoking fear through robocalls. Tom Loughran said that Collins wasn’t elected “to destroy this community”. Barbara Miller-Williams lamented a “sad day” for Erie County and pleaded with Collins to work with the legislature. Tomorrow we’ll see just how sad a day it is, and Collins will be forced to deal with a co-equal branch of government whether he’s bought it or not, whether he likes it or not. Caution. Litigation ahead. I absolutely love this cartoon.